Outdoor canopies made out of perennial vines are both beautiful, provide shelter and extend living space from indoors to the garden. They provide an abundance of colorful blooms and fruit. Here are some choice perennial vines to beautify your home. 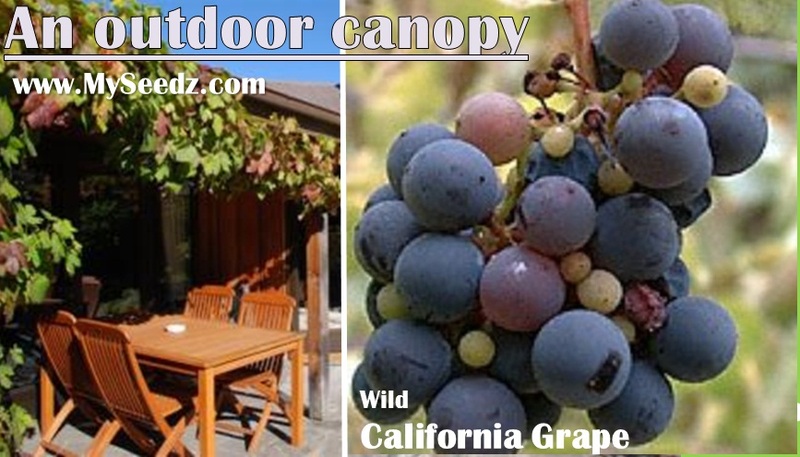 (1) Wild California Grape: A canopy covered with a grape vine is aesthetically pleasing to the eye. The grapes that develop are breathtakingly beautiful hanging down from the canopy and provide good shelter. The vine needs to be trained and trimmed to form the shape of the canopy. (2) Kiwi Fruit: A canopy covered with a Kiwi vine will bear beautiful kiwi fruit. The vine required training and trimming to shape. Both the above vines grow from seed while established vines can also be transplanted. Be generous with trimming to ensure the vine grows into the desired shape. Overtime, as the vines add wood they can grow heavy so firm support is important. Once the vines are firmly established you can enjoy these canopies for years!